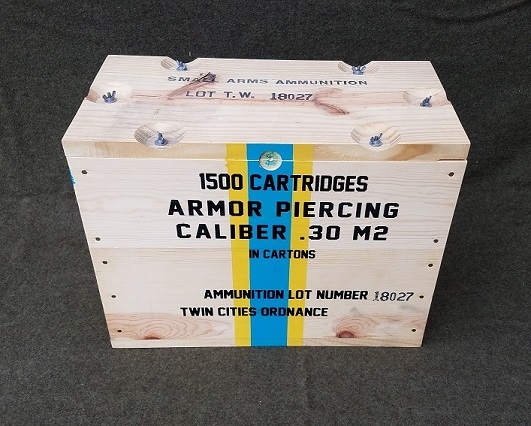 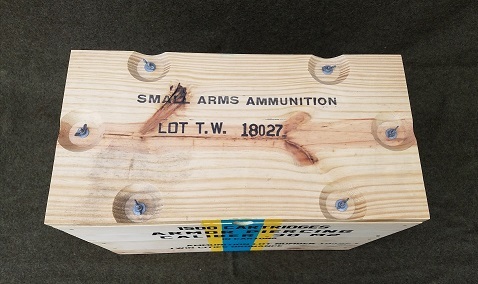 Reproduction WWII U.S .30 caliber Armor Piercing - in cartons ammo crate. 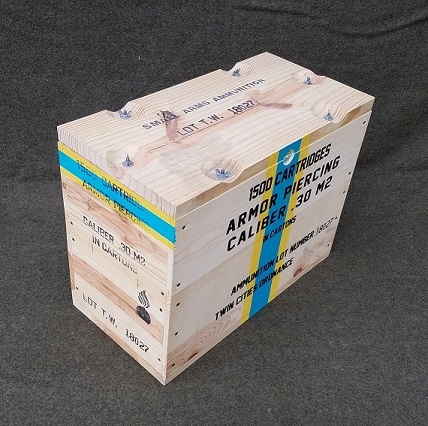 Crate features the exact construction the originals were made with: Pine lumber, using corrugated joint fasteners, 8 penny nails, tongue and groove joints, and wood glue. 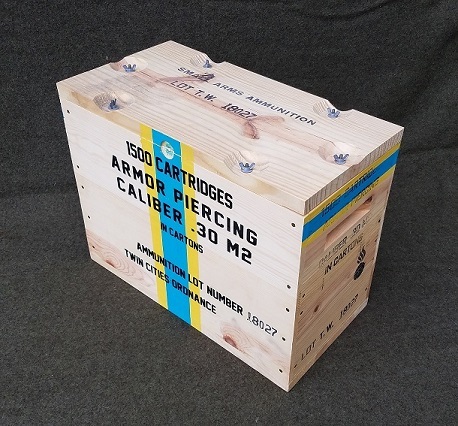 Paint colors professionally matched and exterior artwork applied via silk screening and ink stamps.